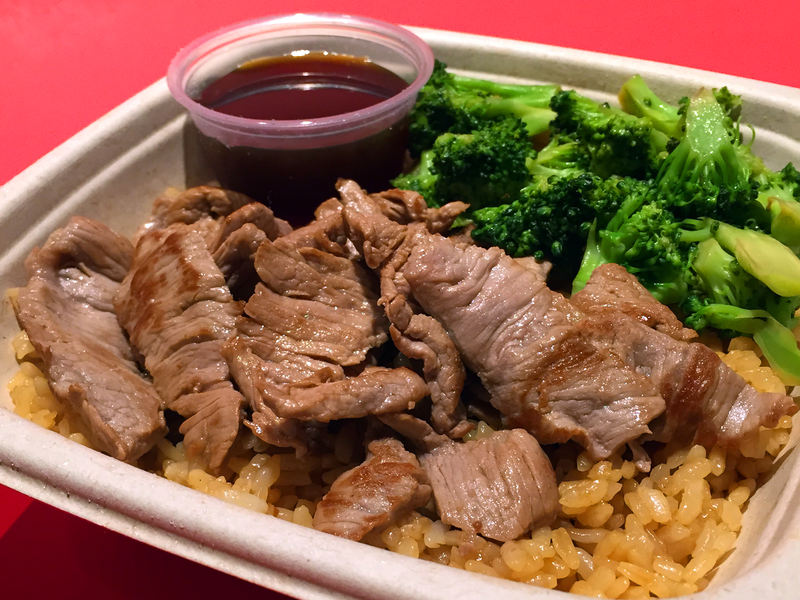 Try our New innovative Bachi (bowl) meal! 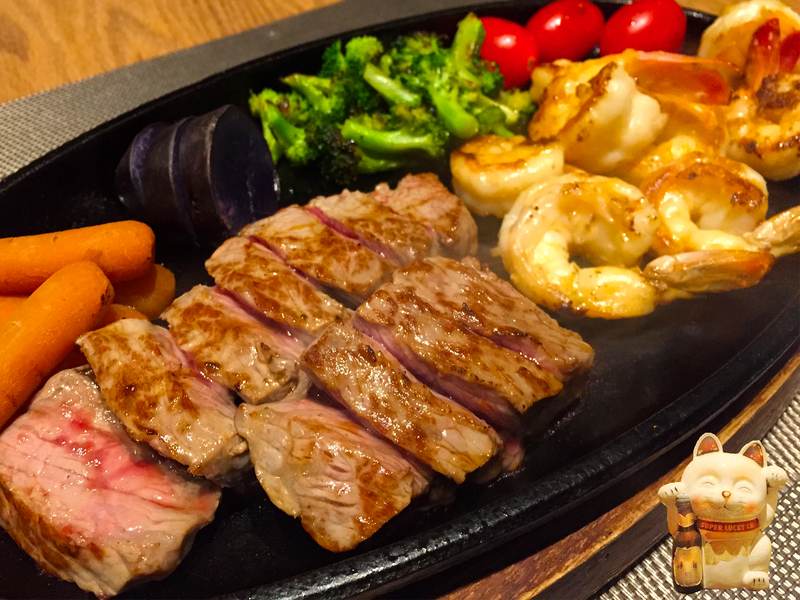 NOW delicious Hibachi + Sushi Everyday. Only at Inatome. 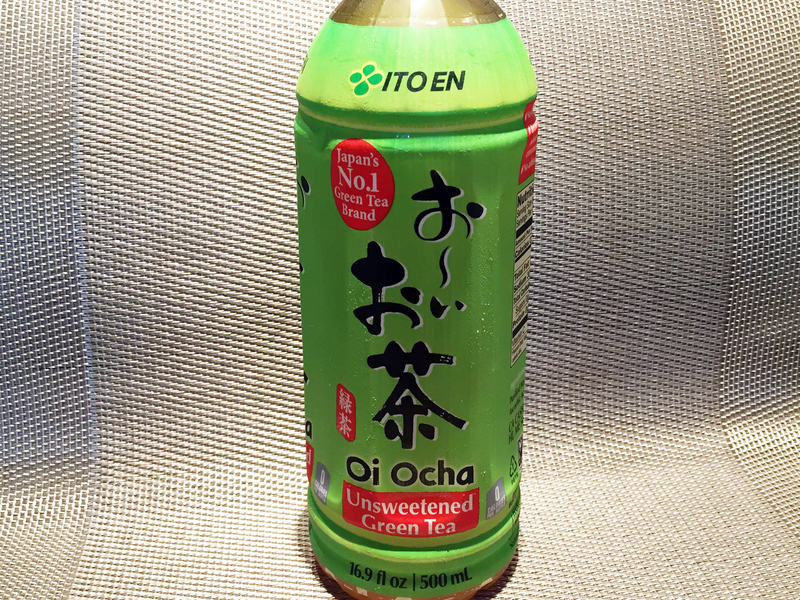 Itoen Oi-Ocha The most popular Tea in Japan. No sugar. 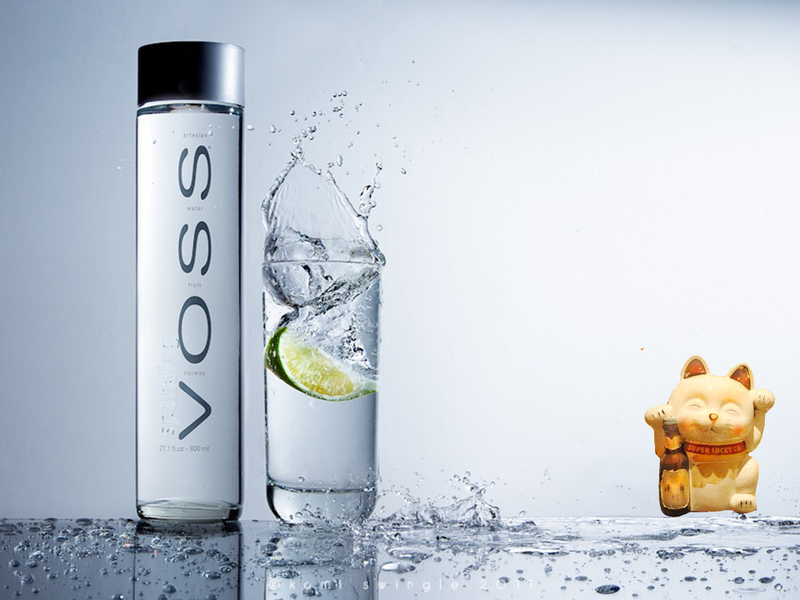 16.9oz bottled Japanese Tea. 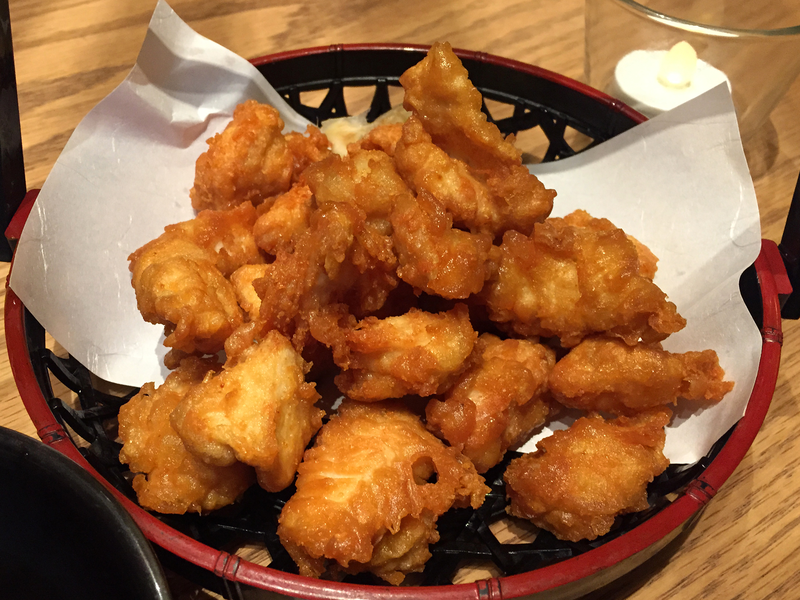 Famous Inatome Deep Fried Chicken Nuggets served with Tempura sauce. 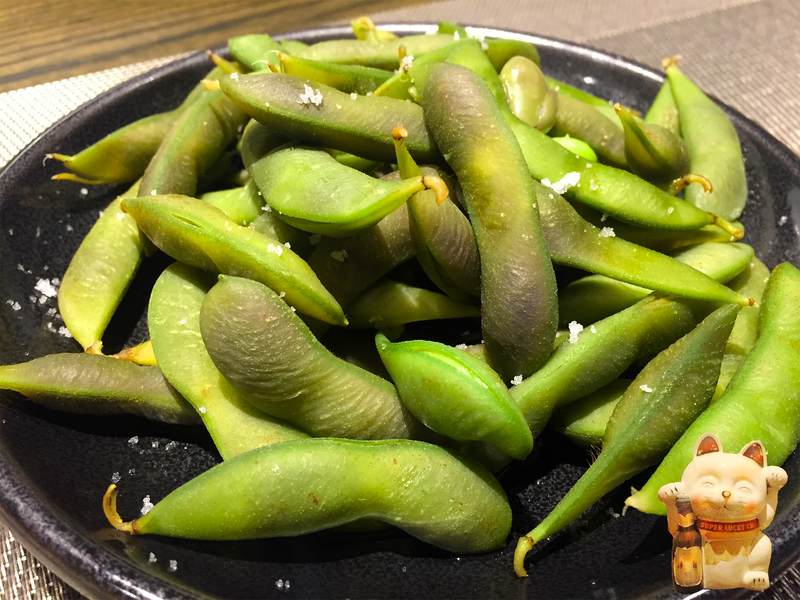 Green Edamame with Sea Salt. 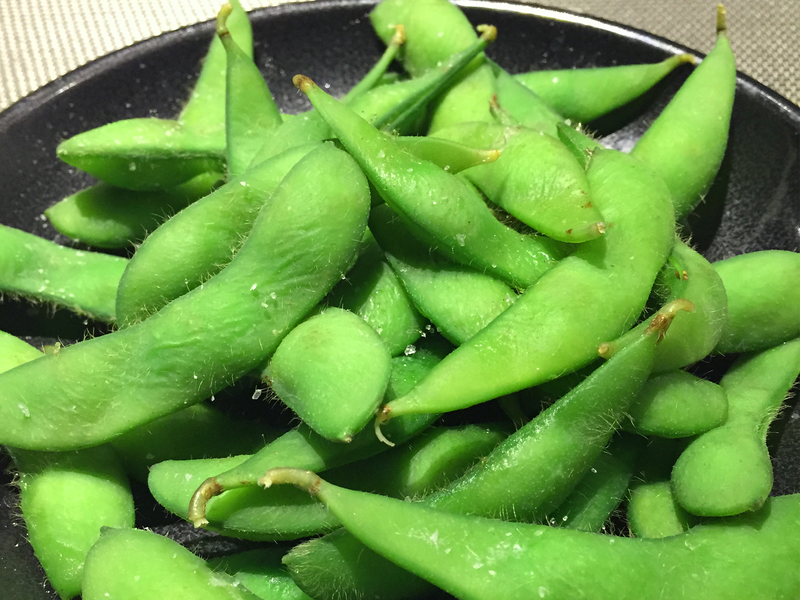 Black Edamame is Sweeter and acquired taste than green Edamame. 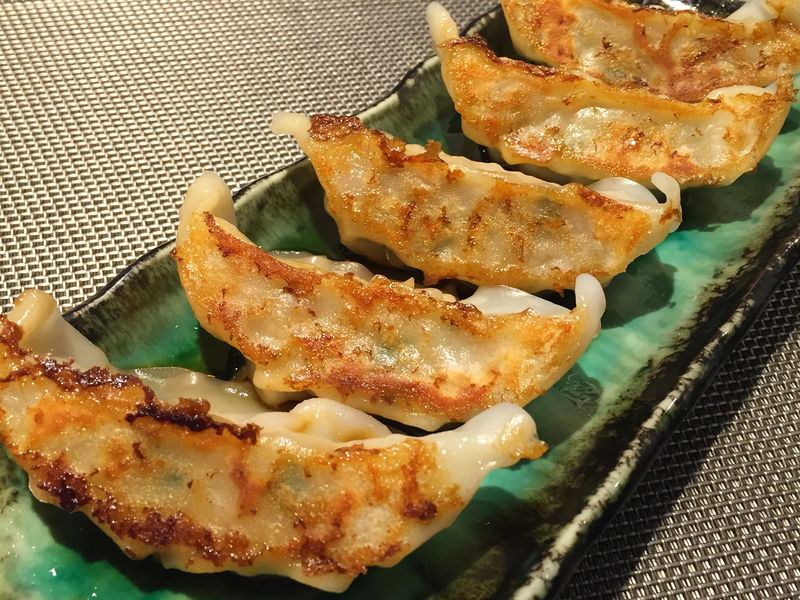 Pan-Fried Pork-Veg Ravioli Style dumpling served with spicy Gyoza sauce. 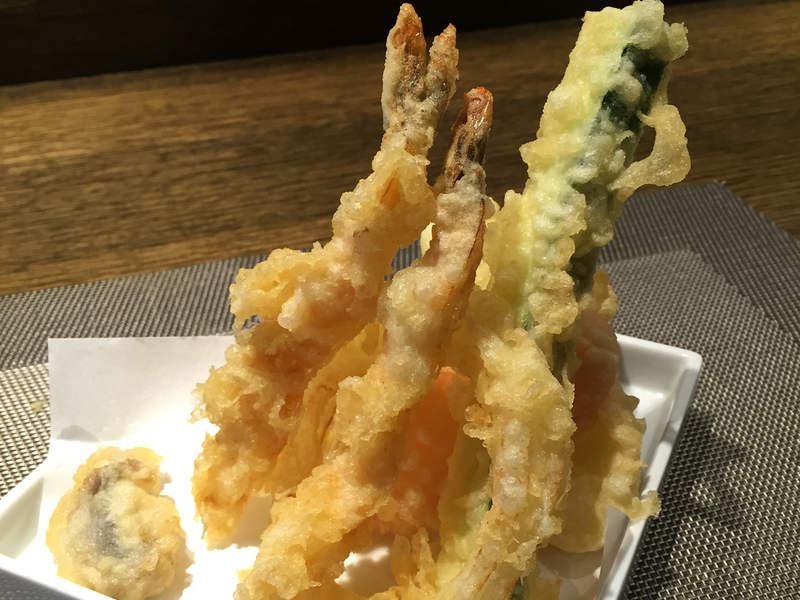 Shrimp + Vegetable Tempura Appetizer. 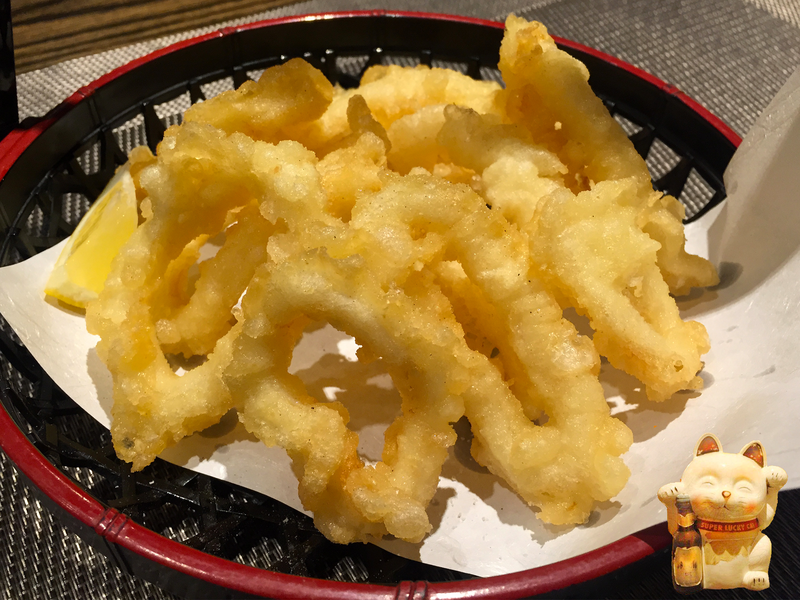 Catch of the day white fish Tempura. 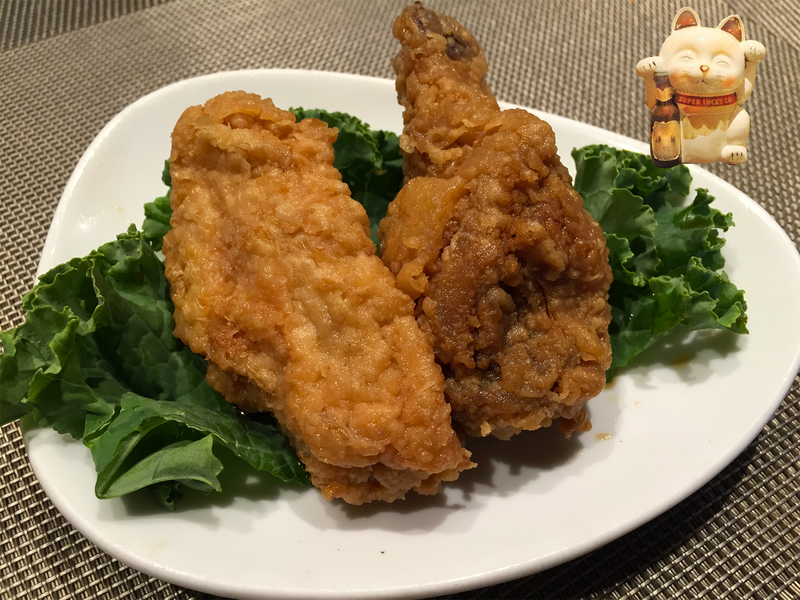 Inatome's original cold marinated Chicken wings. 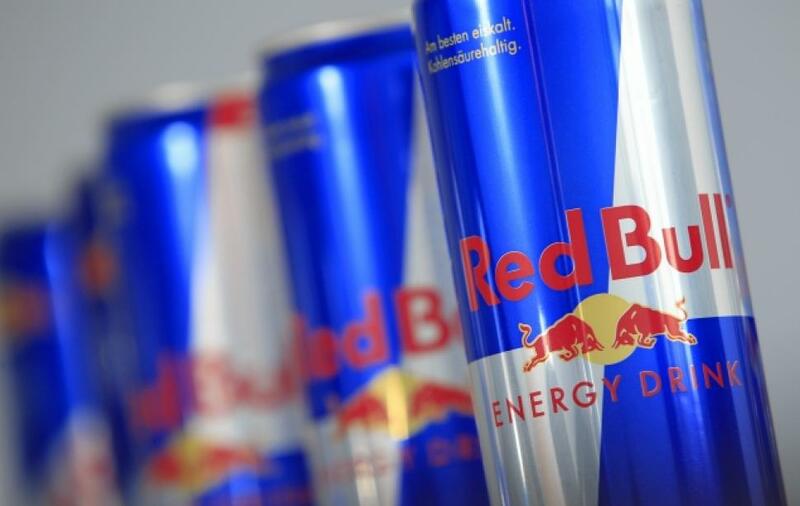 One order 2 wings. Chicken broth base soup with Fried Onion, Mushroom and Scallion. Seaweed / Fish broth base soup with diced Tofu and Scallion. Fresh lettuce top with plum tomato, shredded carrot and purple cabbage served with our famous Ginger Dressing. Double portion of Fresh lettuce top with plum tomato, shredded carrot and purple cabbage served with our famous Ginger Dressing. Inatome Original delicious Hibachi Bowl. Angus Steak and Broccoli. Choice of Fried / White / Brown Rice. Served in Eco Friendly Container. Inatome Original delicious Hibachi Bowl. 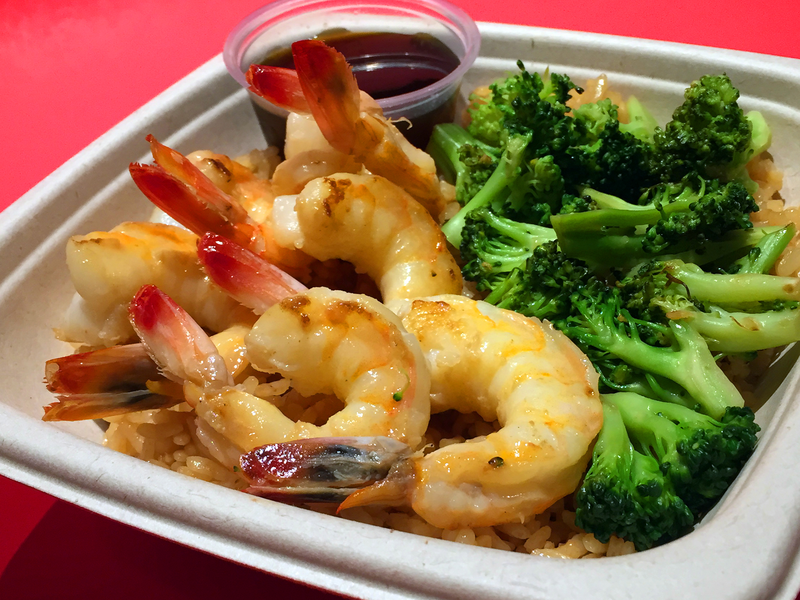 Wild Caught Shrimp and Broccoli. Choice of Fried / White / Brown Rice. Serve in Eco Friendly Container. 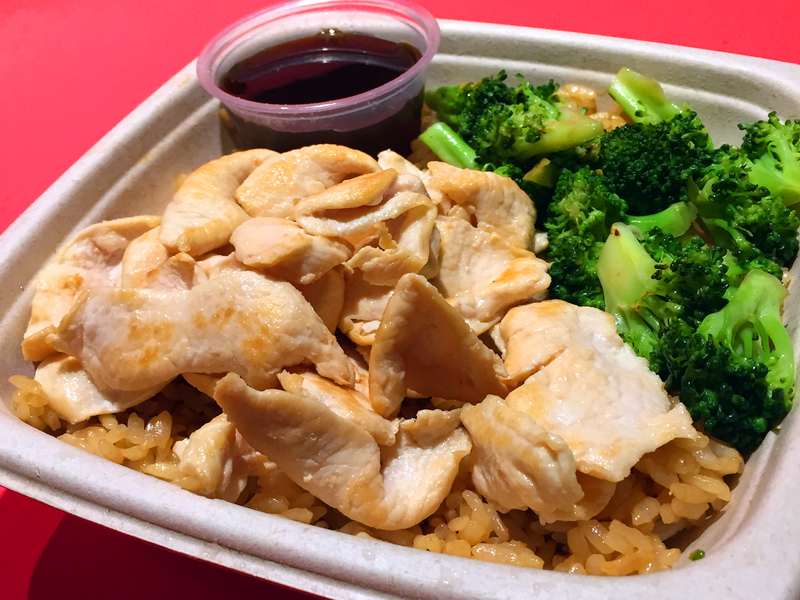 Inatome Original delicious Hibachi Bowl. 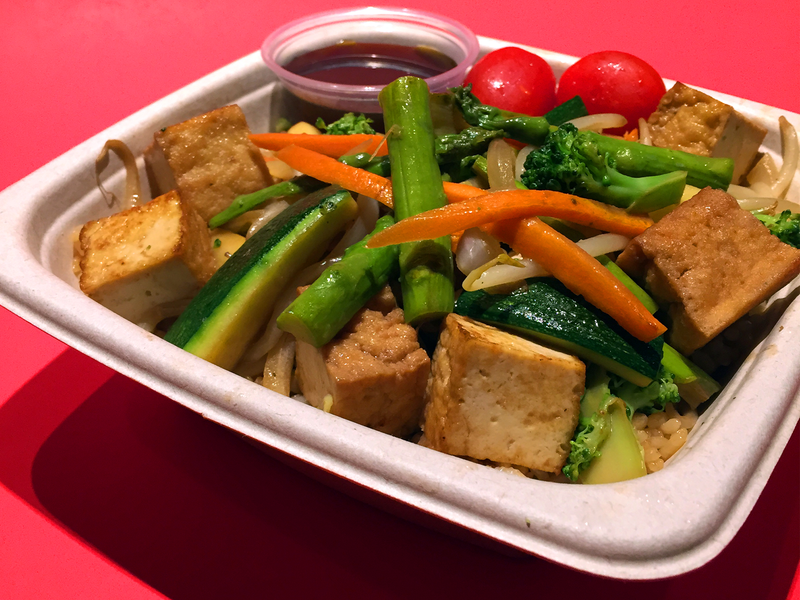 Mixed Veg Tofu.Choice of Fried / White / Brown Rice. Served in Eco Friendly Container. Inatome Soup, Salad, Choice of Fried Rice or Bowl of White Rice. Side dishes: Wild Caught Shrimp, Fried Potato, Broccoli, Carrot, Grape Tomato. 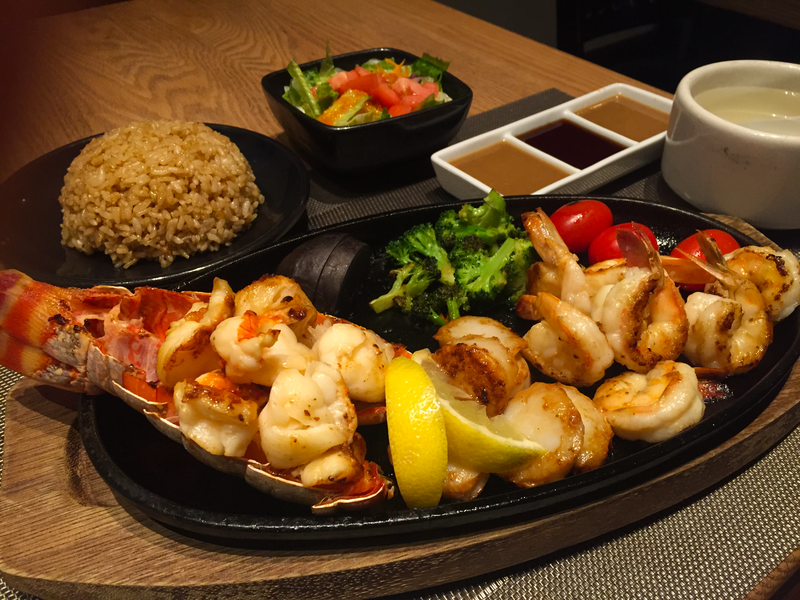 Accompany with our Hibachi dipping sauces Ginger, Mustard, Teriyaki. Inatome Soup, Salad, Choice of Fried, White and Brown Rice. Side dishes: Wild Caught Shrimp, Fried Potato, Broccoli, Carrot, Grape Tomato. Special BBQ sauce. Inatome Soup, Salad, Choice of Fried Rice or Bowl of White Rice. Lobster Tail, Scallop + Shrimp. 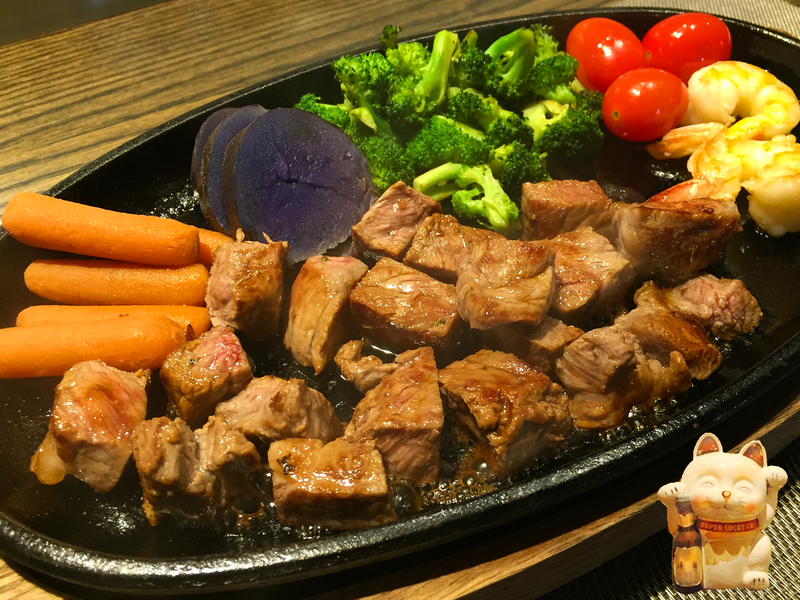 Side dishes: Assorted Vegetables and Grilled Tofu. Spicy Crab Stick Sushi Bowl. 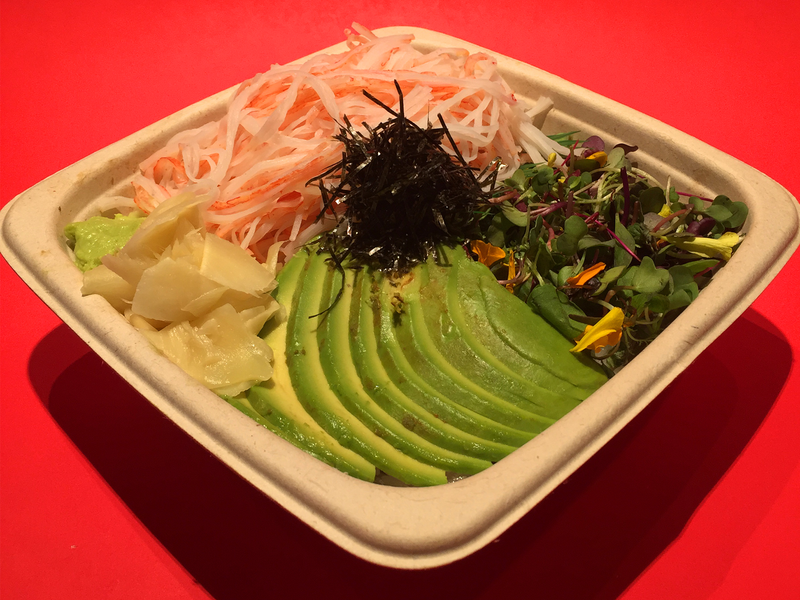 Crab Stick, Avocado, Micro Veg Sesame seed. Side of Wasabi and Gari Ginger. Served in ECO friendly container. 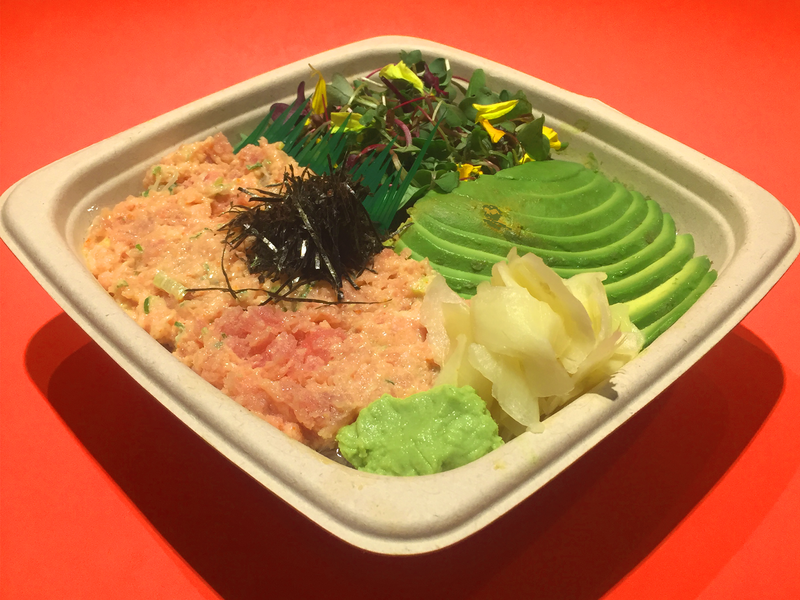 Spicy Chopped Tuna with Scallion Sushi Bowl. Served with Avocado, Sesame seed. Side of Wasabi and Gari Ginger. Served in ECO friendly container. Spicy Chopped Salmon with Scallion Sushi Bowl. Served with Avocado, Sesame seed. Side of Wasabi and Gari Ginger. Served in ECO friendly container. Crab Stick / Avocado Sushi Roll. Sesame seed. Wasabi and Gari Ginger at side. 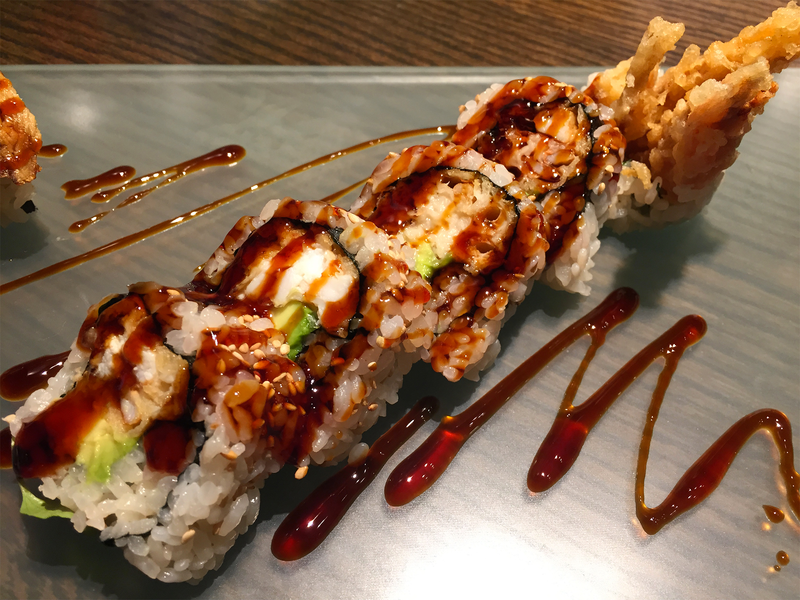 Deep fried Shrimp Tempura Sushi Roll. Sesame seed. Topped with Eel Sauce. Wasabi and Gari Ginger at side. 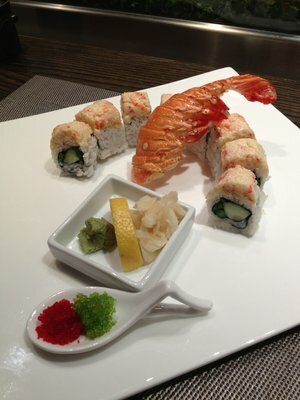 2 Cooke Wild Caught Shrimp Sushi Roll. Sesame seed. Wasabi and Gari Ginger at side. 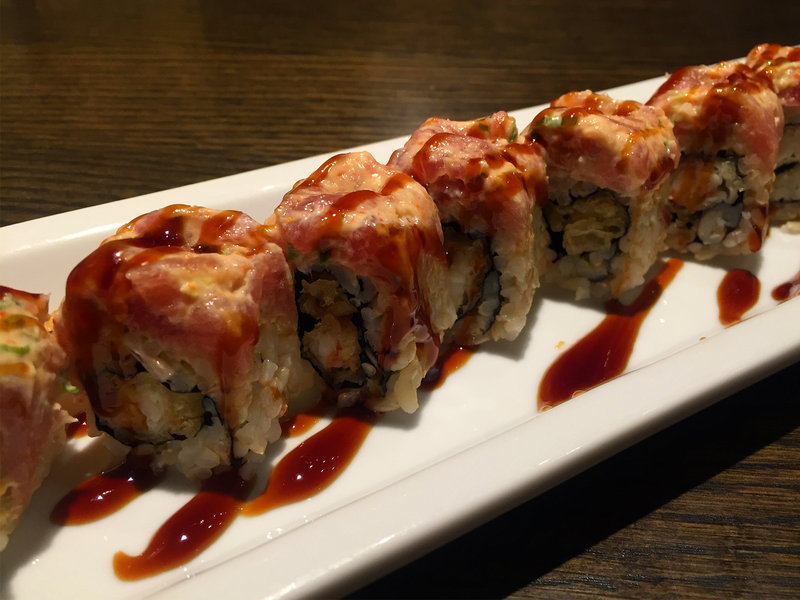 2 Cooke Wild Caught Shrimp with Spicy Mayo Sauce Sushi Roll. Sesame seed. Wasabi and Gari Ginger at side. Shrimp / Cucumber Sushi Roll. Sesame seed. Wasabi and Gari Ginger at side. 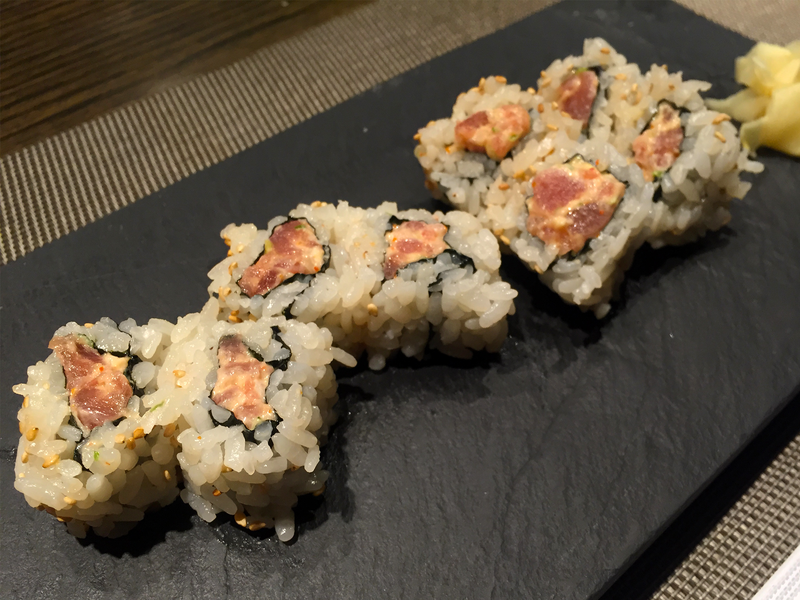 Grilled Salmon Skin Sushi Roll Sesame seed. Wasabi and Gari Ginger at side. Grilled Eel Sushi Roll. Sesame seed. Topped with Eel Sauce. Wasabi and Gari Ginger at side. Crab Stick Sushi Roll. Sesame seed. Wasabi and Gari Ginger at side. 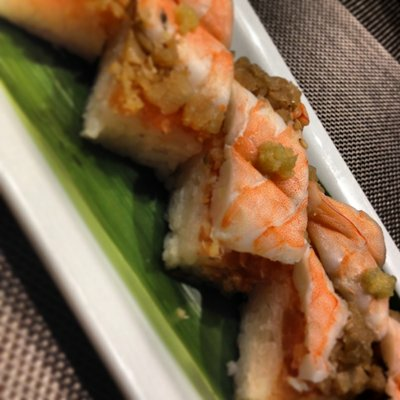 Kani Kama (Imitation Crab Stick) with Spicy Mayo Sauce Sushi Roll. Sesame seed. Wasabi and Gari Ginger at side. 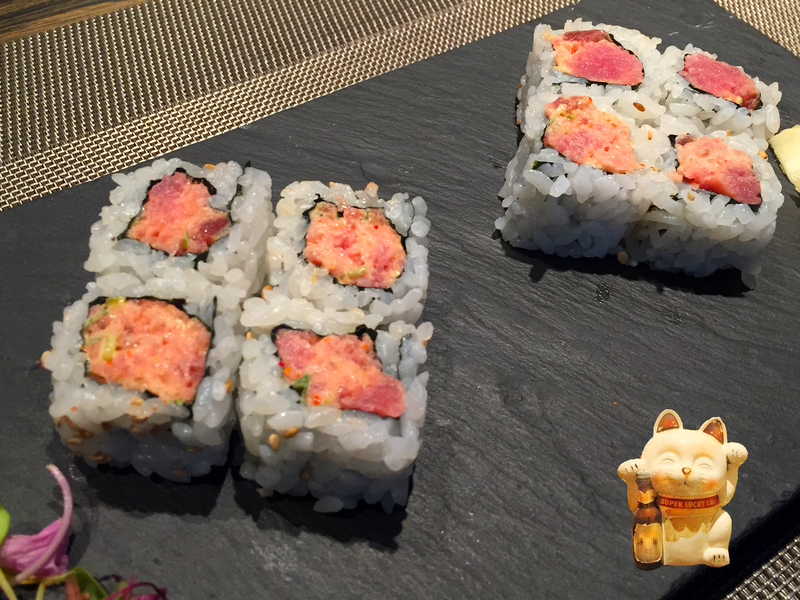 Chopped Tuna with Spicy Mayo and Sesame Oil Sushi Roll. Sesame seed. Wasabi and Gari Ginger at side. Tuna / Avocado Sushi Roll. Sesame seed. Wasabi and Gari Ginger at side. 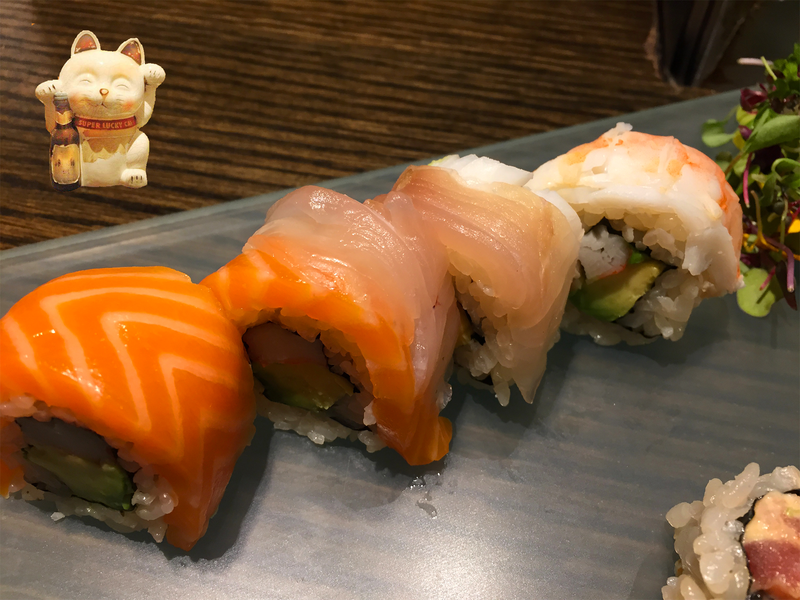 Chopped Salmon with Spicy Mayo and Sesame Oil Sushi Roll with Sesame seed. Wasabi and Gari Ginger at side. 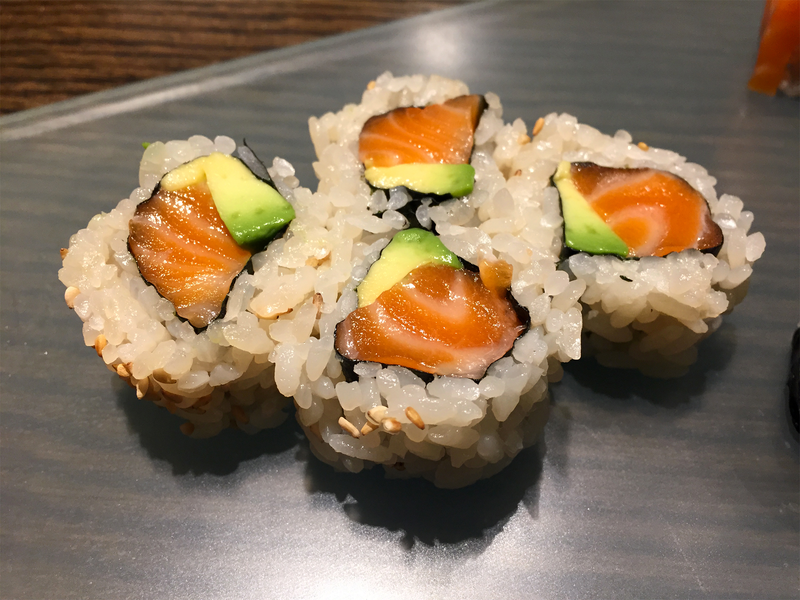 Salmon / Avocado Sushi Roll with Sesame seed. Wasabi and Gari Ginger at side. Salmon Sushi Roll with Sesame seed. Wasabi and Gari Ginger at side. 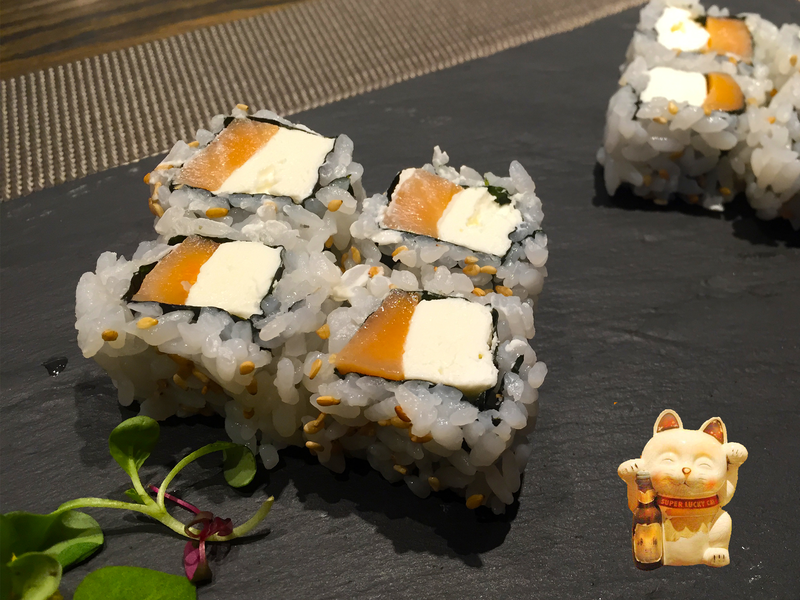 Smoked Salmon / Cream Cheese Sushi Roll with Sesame seed. Wasabi and Gari Ginger at side. Tuna Sushi Roll with Sesame seed. Rice outside. Wasabi and Gari Ginger at side. 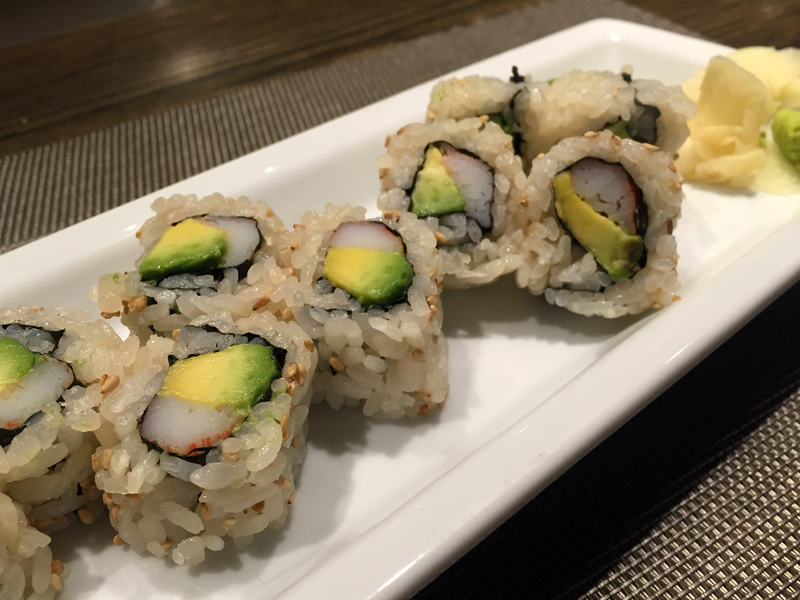 Yellow Tail Sushi Roll with Sesame seed. Rice Outside. Wasabi and Gari Ginger at side. 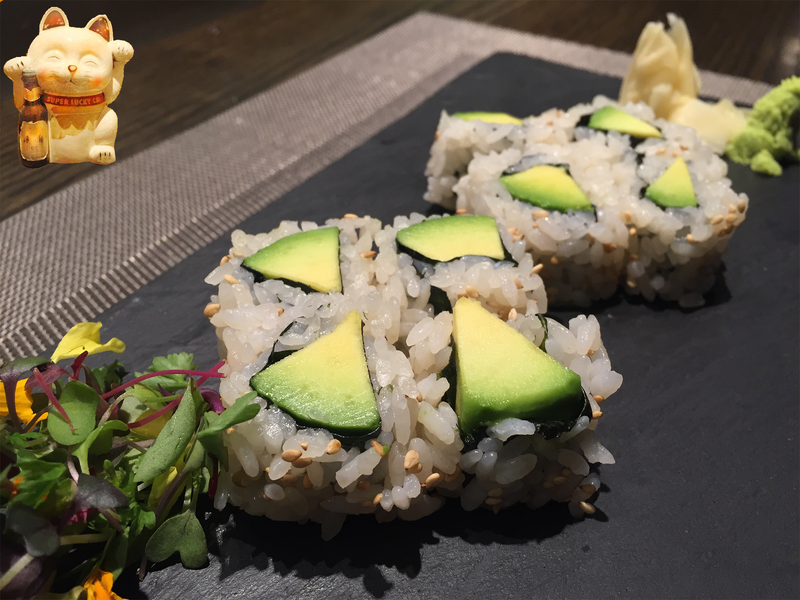 Avocado Sushi Roll with Sesame seed. Wasabi and Gari Ginger at side. Asparagus, Carrot, Avo & Red Cabbages Sushi Roll with Sesame seed. Wasabi and Gari Ginger at side. Cucumber Sushi Roll with Sesame seed. Rice outside. Wasabi and Gari Ginger at side. 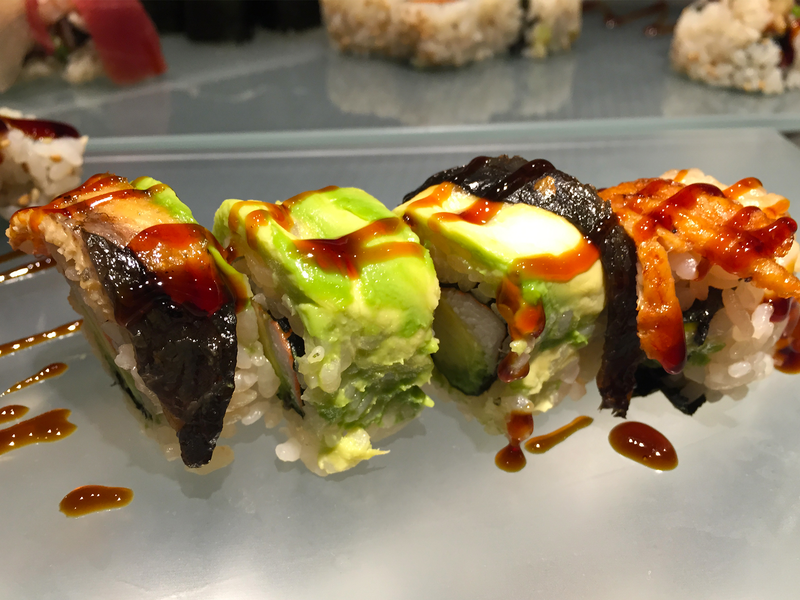 Crab Stick / Avocado Roll wrapped with Grilled Eel / Avocado. Served with Eel Sauce. Wasabi and Gari Ginger at side. Avocado/ CrabStick Sushi Roll wrapped with Shrimp and Assorted Fish. Wasabi and Gari Ginger at side. 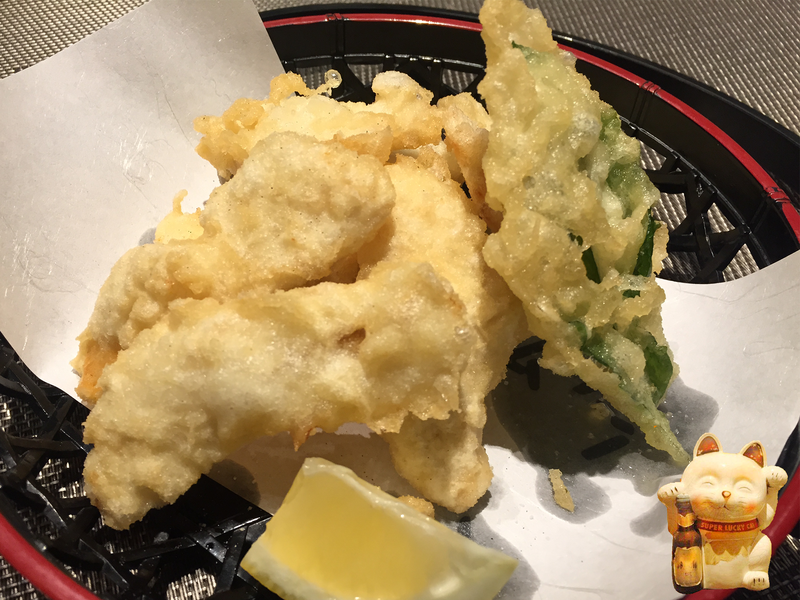 Deep fried softshell crab Tempura with Avocado. Topped with sesame seed and Eel sauce. Wasabi and Gari Ginger at side. 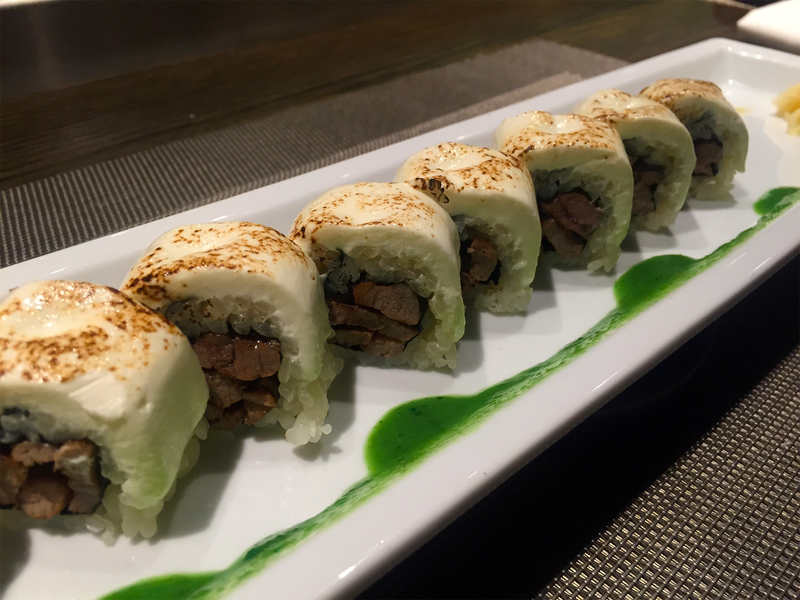 Grilled Beef Sushi topped with Cream Cheese and Jalapeno Sauce. Wasabi and Gari Ginger at side. 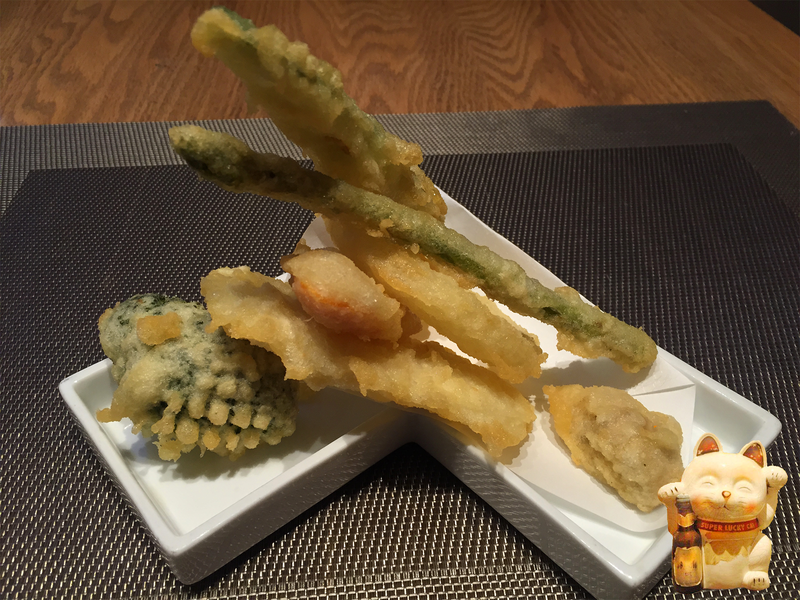 Asparagus inside.Marinated Rock Lobster in Mayo accompany with Red and Green Flying fish roe. Wasabi and Gari ginger at side. 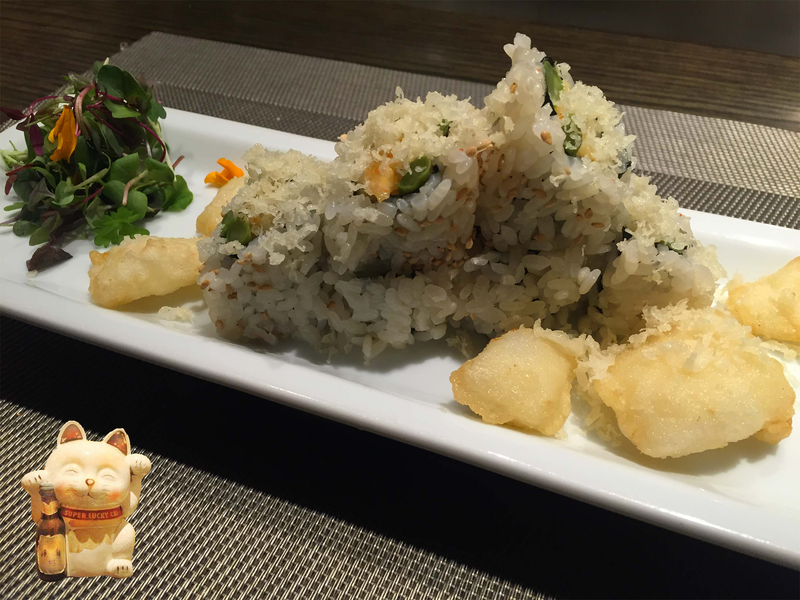 Asparagus roll topped with Deep sea scallop tempura. Wasabi and Gari ginger at side. 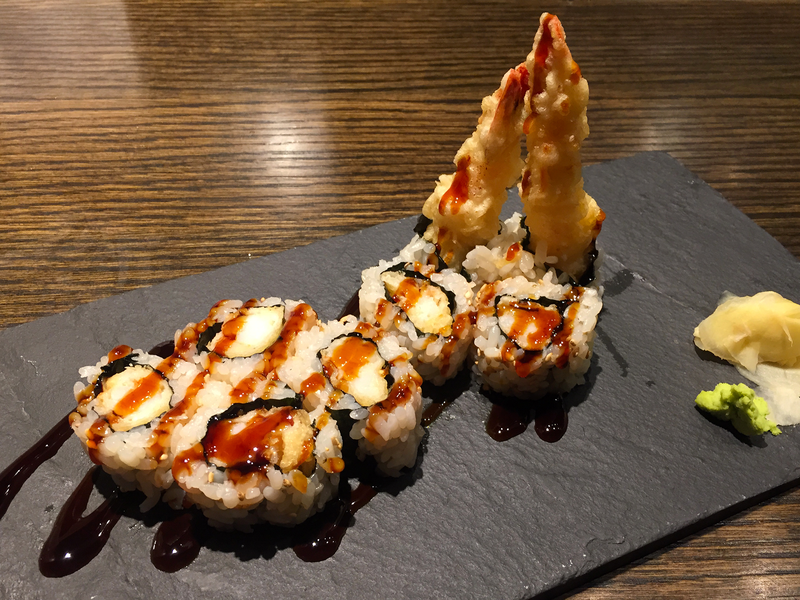 Shrimp Tempura roll topped with Spicy Tuna. Served with Eel sauce. Wasabi and Gari ginger at side. 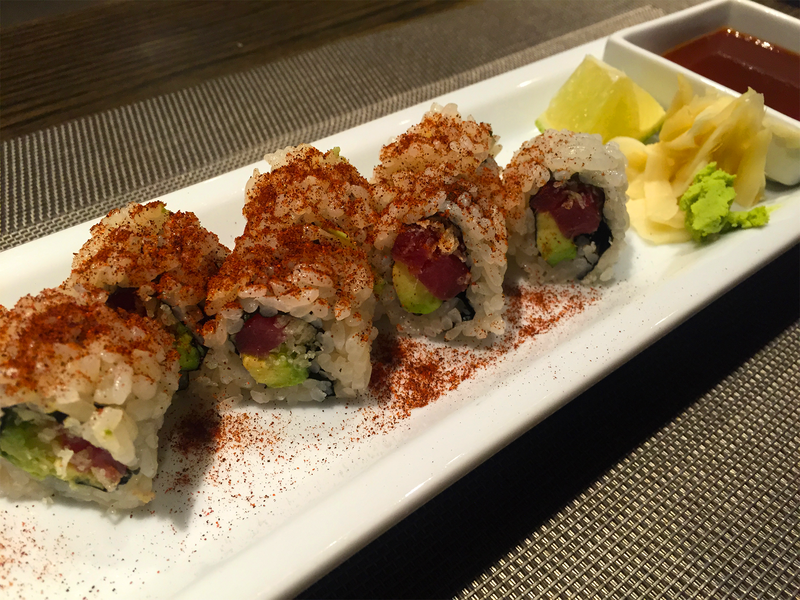 Tuna Avocado roll with Crunchy w/ Chipotle spices. served with Chipotle sauce. *Warning: Extremely SPICY! 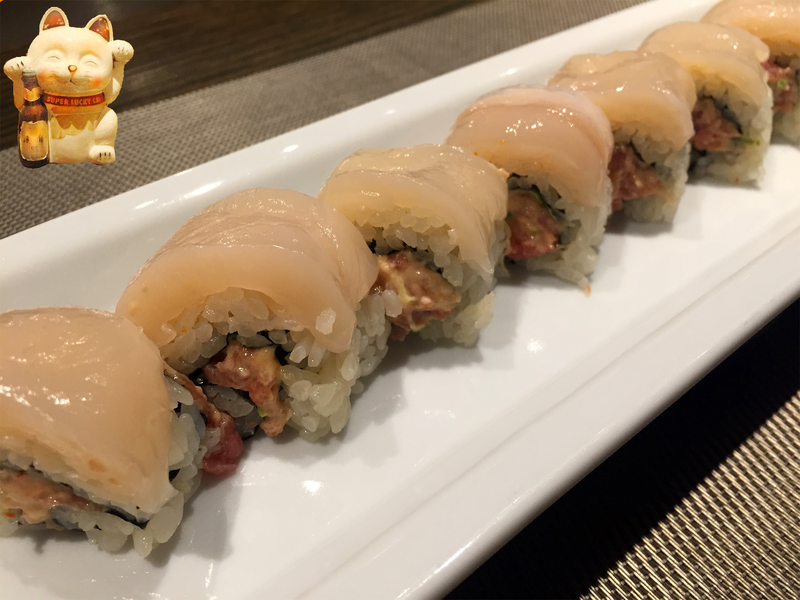 Spicy Tuna roll topped with Fresh Deep Sea Scallop. Wasabi and Gari ginger at side. 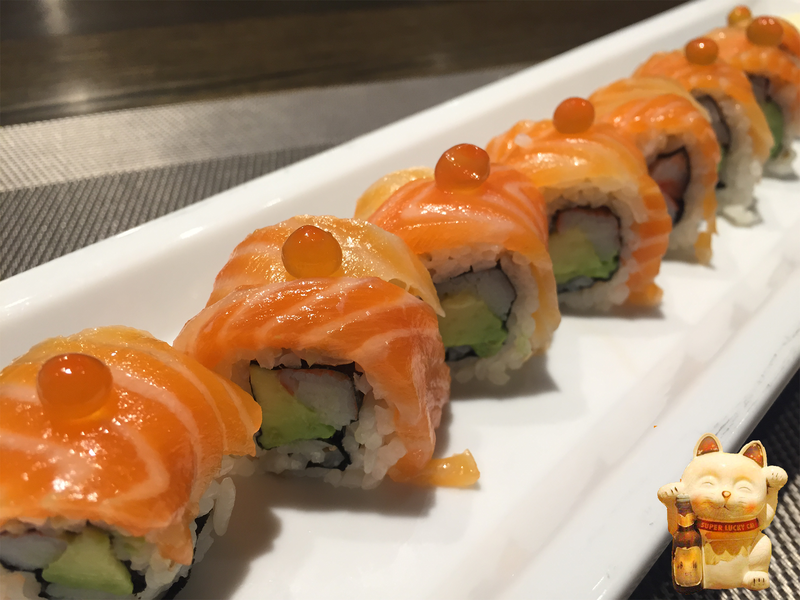 Crab stick roll topped with Salmon and Ikura (Salmon Roe.) Wasabi and Gari ginger at side. 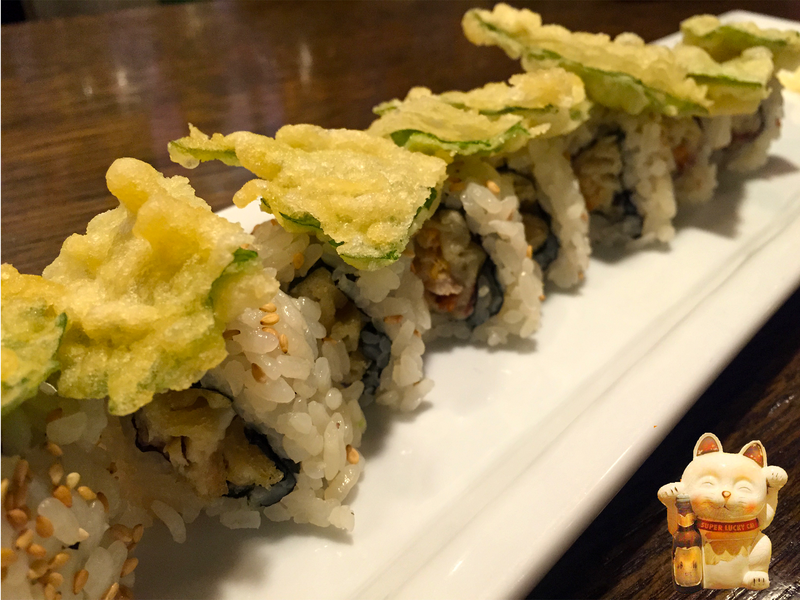 White fish Tempura roll topped with Crispy Shiso (Japanese Basil) Tempura, contains Mayonnaise inside . Wasabi and Gari ginger at side. Salmon, CrabStick, Avocado, Cream Cheese, Asparagus. Deep fried Katsu crunch top with Tobiko, Scalion, Spicy Mayo and Eel Sauce. Wasabi and Gari Ginger at side. Chopped cooked shrimp. Pressed Box Sushi. Served with fresh grated ginger. Traditional Roll (Seaweed Outside. Rice inside) Grilled Eel, Crab Stick, Egg custard and Kanpyo. Wasabi and Gari Ginger at side. 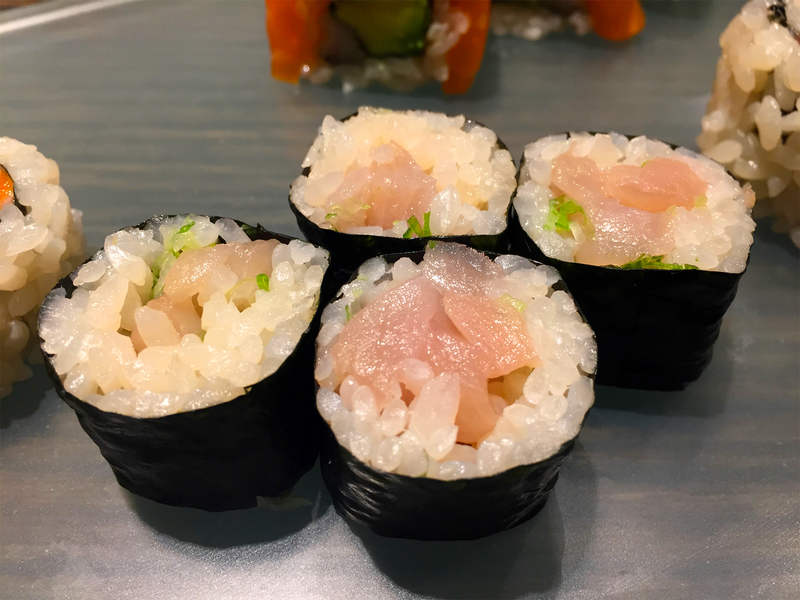 Traditional Tuna Sushi Roll. (Seaweed Outside rice inside.) Wasabi and Gari Ginger at side. Chopped Yellow Tail with Scallion. 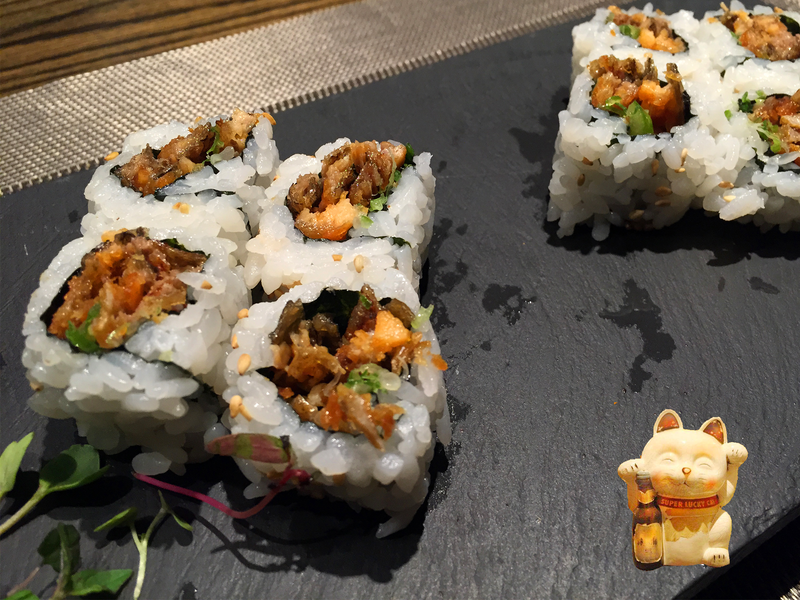 Traditional Roll, Seaweed outside rice inside. Wasabi and Gari Ginger at side. Chopped Fatty Tuna with Scallion. 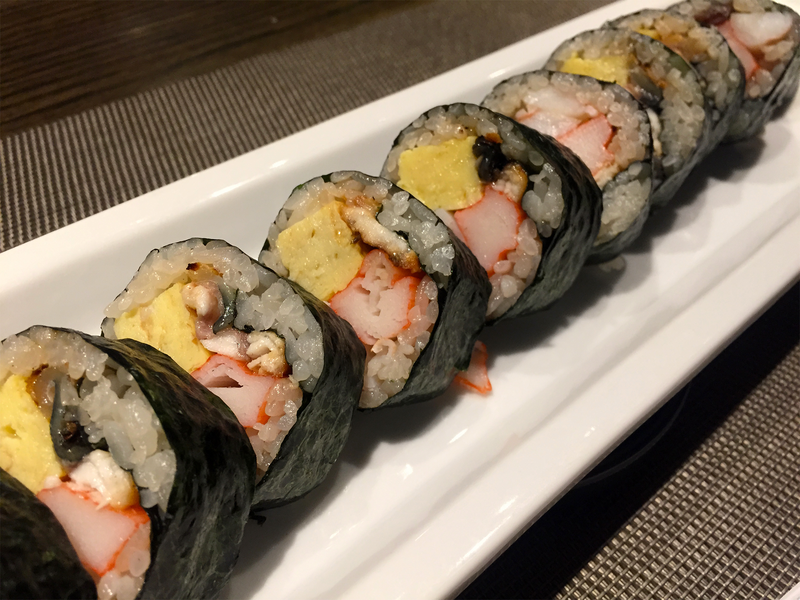 Traditional Roll, Seaweed outside rice inside. Wasabi and Gari Ginger at side. Sweet Sour Plum Cucumber Traditional Sushi Roll. (Seaweed Outside rice inside.) Wasabi and Gari Ginger at side. Japanese Golden Pickles Radish Traditional Sushi Roll. (Seaweed Outside Rice inside.) Wasabi and Gari Ginger at side. Cucumber Traditional Sushi Roll. (Seaweed Outside Rice inside.) Wasabi and Gari Ginger at side. Cooked Sweet Gourd Traditional Sushi Roll. (Seaweed Outside Rice inside.) Wasabi and Gari Ginger at side. CONSUMING RAW OR UNDERCOOKED MEAT, SEAFOOD MAY INCREASE YOUR RISK OF FOOD-BORNE ILLNESS. Unless specified, all Sushi plate will be pack in same platter. Be sure to let us know under special instruction. 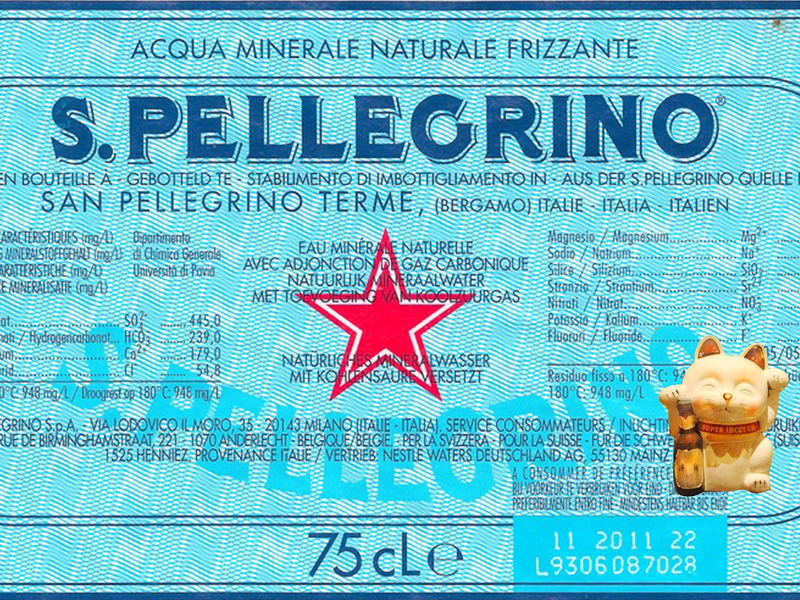 Please specify if you have food allergy under special instruction. CONSUMING RAW OR UNDERCOOKED MEAT, SEAFOOD MAY INCREASE YOUR RISK OF FOOD-BORNE ILLNESS.